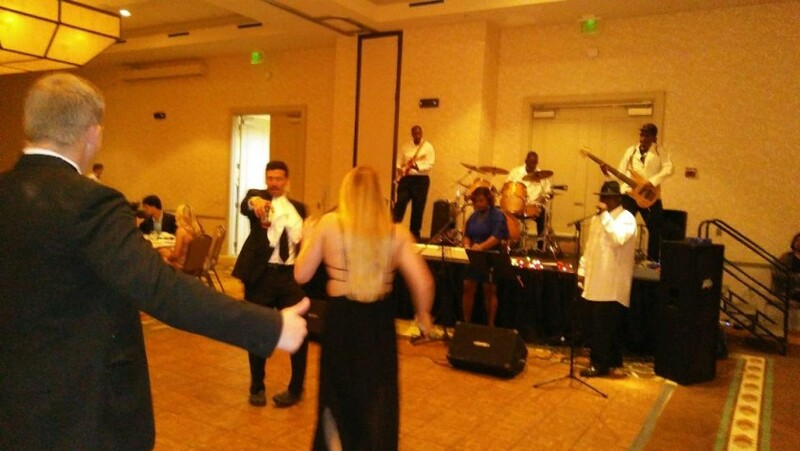 Trish May & The Blu Jayz Band is your #1 best choice Wedding and Dance band for your next event. This band brings the best sounds of Motown, R&B, Oldies & Funk playing songs from the early 60s to Present age music. This band has an amazing Female and Male vocalist perfect to sing songs ranging from Beyonce, Bruno Mars, Bobby Brown, Whitney Houston to Motown Classics of Aretha Franklin, Temptations, KC & Sunshine, Marvin Gaye and many more. This band have played for a host of Weddings, Anniversaries, Corporate, Festivals, Casinos and Birthday Parties. So if you want to have fun with celebration, laughter and great music book your next event with Trish May & The Blu Jayz Band. I think everyone should book Trish May & The Blu Jayz Band. I have worked with them at shows, as I shoot photos on stage, and have done a couple of their photo shoots. They're really nice people. I love them to death, and I promise you wont regret seeing their shows. The Best Part Band the MS Coast has! I have booked Trish May's band multiple times for shows at The Blind Tiger Biloxi Beach and let me tell you... They throw down! They get the crowd jumping, bringing people out to the dance floor, and incredibly interactive with the crowd. I seriously HIGHLY suggest that you book this band for your next party/gig/whatever! You won't be disappointed! I promise. I have spent a lot of time booking bands and I know the majority of the bands on the Coast, and this band is incredible! Book them! The Blu Jayz Band is design to make your event very excited and keep the crowd interesting in the great sound of music. The Blu Jayz Band is base of a 5 piece with a male and female vocals. The Blu Jayz covers music from the 60's to present. This group have played along the Ms Gulfcoast as well as Mobile, Ala, Florida, and New Orleans. The Blu Jayz have a wide variety selection of music for all occasions. This group covers Weddings, Birthday Parties, Casinos, Festivals, and Conventional Centers. So get ready to enjoy one of Ms Gulfcoast finest groups to be entertain. Trish May & The Blu Jayz Band was assembled by an amazing Female Vocalist that was influence by singing at a early age in a church group. Then later gain influence from the great sounds of Whitney Houston, Aretha Franklin, Cher, and Etta James . Her inspiration lead to forming a group to play music of Temptations, Otis Reddings, Marvin Gaye, K C & Sunshine, The Eagles, Wild Cherry and todays artist Bruno Mars. Ed Sheeran and Maroon 5.